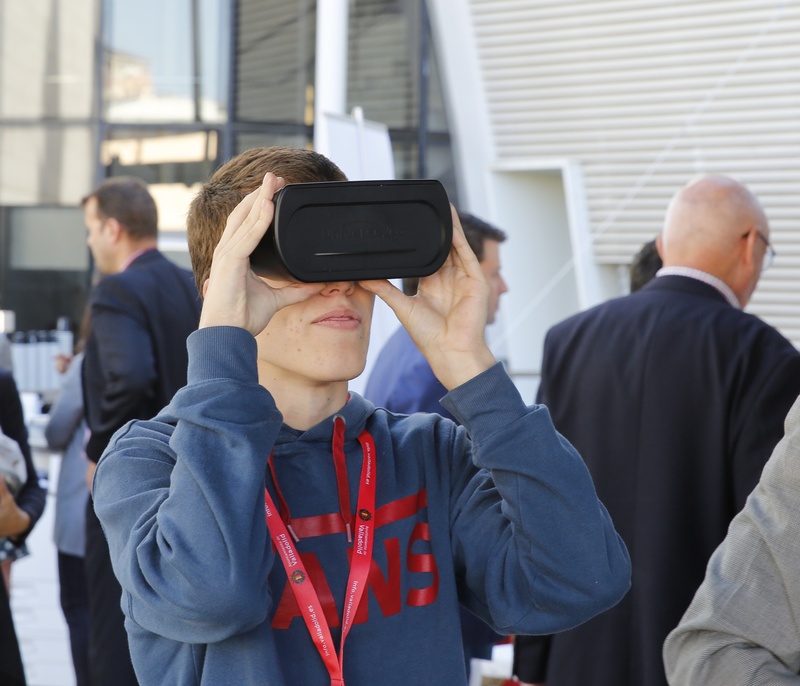 On September 29th, the e-volution Congress 2016 took place at the Feria de Valladolid in Spain. 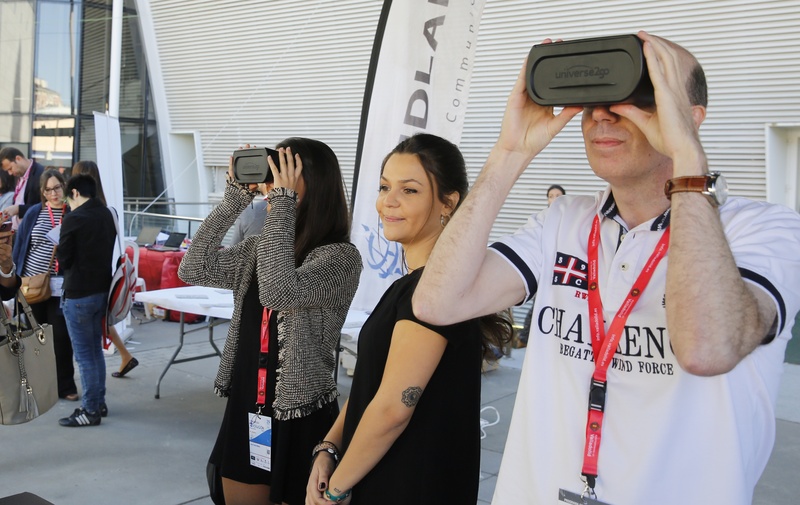 The event, organized by the newspaper “El Norte de Castilla”, has become one of the most important events nationwide to anyone, wanting to learn more about exciting innovations in the digital industry. Among the speakers, were Pepe Cerezo, director of Evoca Media, Luis García Cristóbal, head of Iberia de Unionpay International and Mosiri Cabezas, director of digital transformation & acceleration of the spanish telecom giant, Telefónica. Demonstrations of robotics and the latest trends in the digital era, soon to be found in our homes, rounded out the speaker series, giving attendees a hands-on experience. Universe2go took part in the event, exhibiting its augmented reality planetarium to the public. Between talks, the attendees were able to experience the device first-hand for themselves and discover the possibilities that the cosmos can offer. Five lucky attendees received their very own Universe2go. 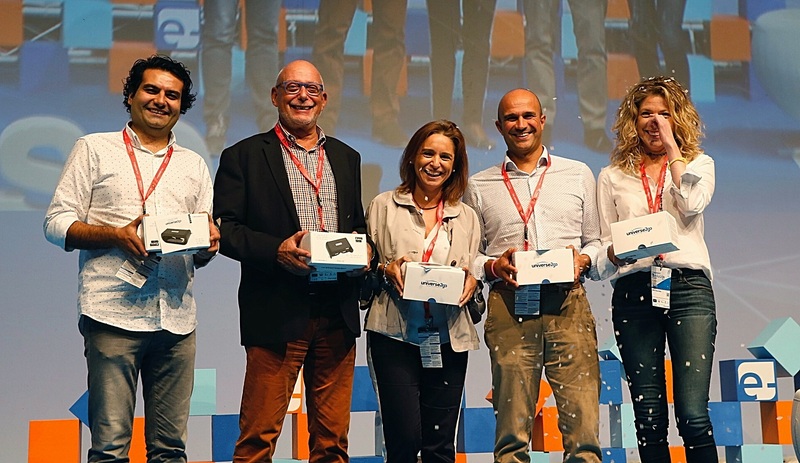 In the picture below, you can see how happy the winners were with their new devices.